You can see here the normal finish options – agglomerated, natural and bleached natural. For smaller corks, natural corks are only a little more expensive than agglomerated corks; this is because we are able to make them from rejected natural wine corks, which are trimmed down to size. 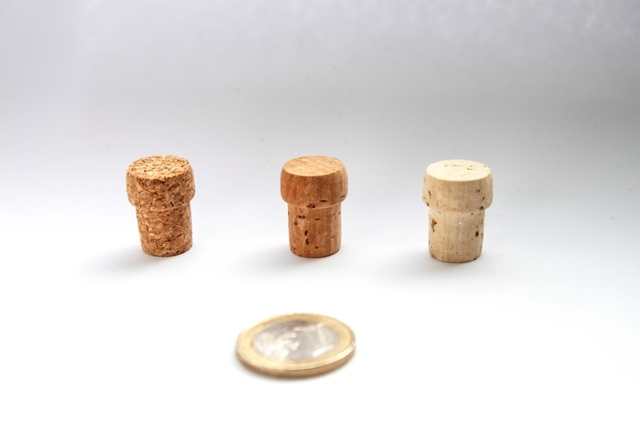 For larger conical corks with a top diameter of 24mm or larger (the standard diameter of wine corks), they cannot be made from reject wine corks, so become considerably more expensive than agglomerated cork.